A mother has taken to a parenting forum to share something few parents admit to: that she has a favourite child. Does anyone else feel this way too, she wondered? "To be blunt, I like one of my children more than the other," the anonymous mum posted to Nappy Valley. "I have a daughter who is charming and easy-going and a son who is, to be honest, extremely hard work." The mum explained that while she thought her feelings were simply a reflection of her kids' behaviour, and that they would change as her children grew older, it simply hasn't happened. "I'm aware that this manifests itself in how I treat them," the mum described, "although I try really really hard not to let it, and I'm very worried that I could be causing real issues for the one I like less." Asking Nappy Valley forum users if anyone else could relate, she wrote,"I could really do with an idea if others feel the same way and it's obviously pretty hard to talk about with other people." Judging by the responses to her question, the mother-of-two isn't the only parent playing favourites. Others admitted to similar experiences - albeit in varying degrees. "My husband says I favour my son," wrote one mum. "And in some ways he's right as it is easier to be around him sometimes as he is just easier but I don't love either one more than the other if you know what I mean?" "I never questioned my love for my first," another added, "but when I had my second it felt so different. It's a different bond. I have sometimes wondered if it's the bonding when they are first born.I thought it was because I was a first time mum and maybe it was, but with my second it was instant and so strong." Other forum users shared their tips for building and maintaining good relationships with their kids, writing that spending one-on-one time with "less-favoured" children can be helpful, having "snuggle time" at the end of the day, as well as identifying their child's most positive traits. "Try try try, no matter how hard, to see the good in each of your children and concentrate on that," suggested one mum. "Don't compare, no matter how hard. Just concentrate on their individual traits that make you love them and realise your love is different for each one." "When the day has been challenging with my eldest and I'm just desperate to turn the lights out at bedtime and get on with "my time" I've noticed the HUGE difference just 5 mins lying next to him in his bed," one mum shared. "It can suddenly just soften the whole atmosphere." According to one recent study, 74 per cent of mothers and 70 per cent of fathers admit to having a favourite child. And while you might think being the favourite would have its perks, it's not quite that simple. In fact, previous research found that being favoured by your mother can result in a higher risk of depression. 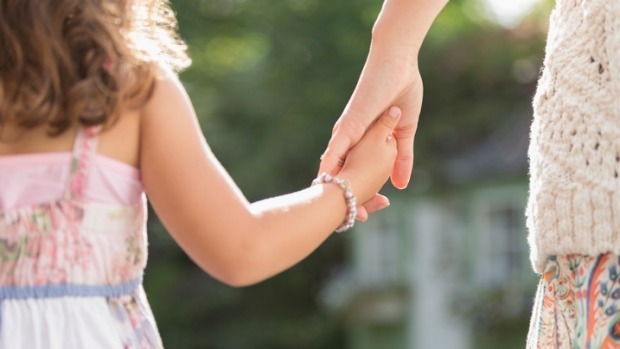 "There is a cost for those who perceive they are the closest emotionally to their mothers, and these children report higher depressive symptoms," lead researcher, Jill Suitor, said of the findings.